Very little is known about this masked bloke. 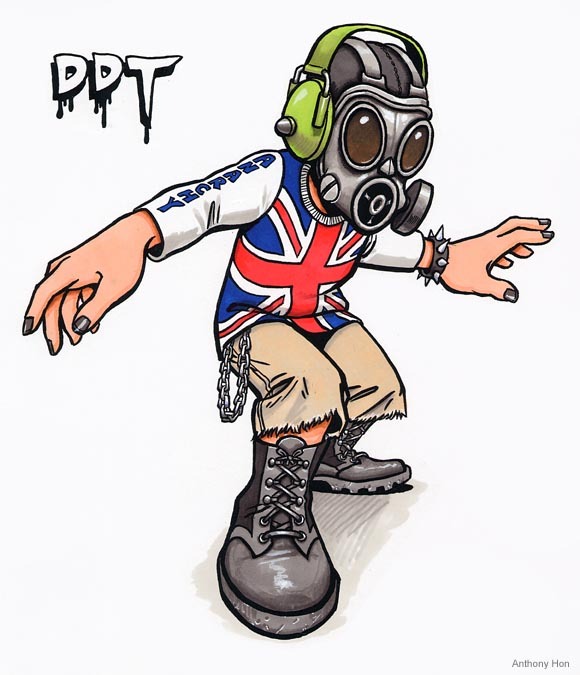 Believed to have been horribly disfigured by an explosion, DDT is an expert marksman with an uncanny knowledge of firearms and chemical warfare. After finding his soul mate, Kit Kat, this megalomaniac wants to see the world burn in hell. All images are © 2002 Anthony Hon. No images may be reproduced without prior permission from the artist.